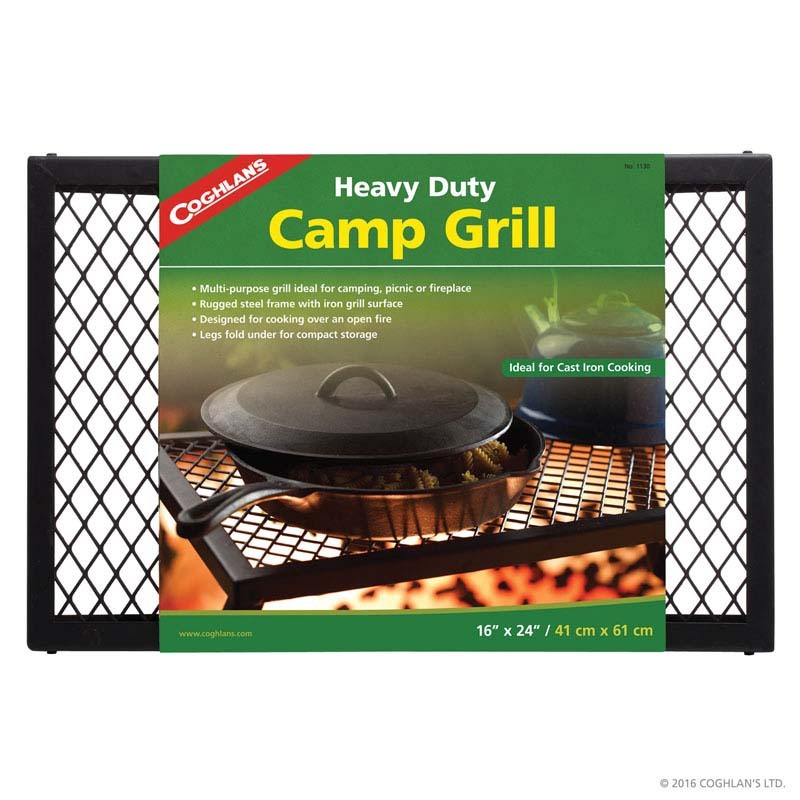 This heavy duty camp grill is ideal when using cast iron cookware. 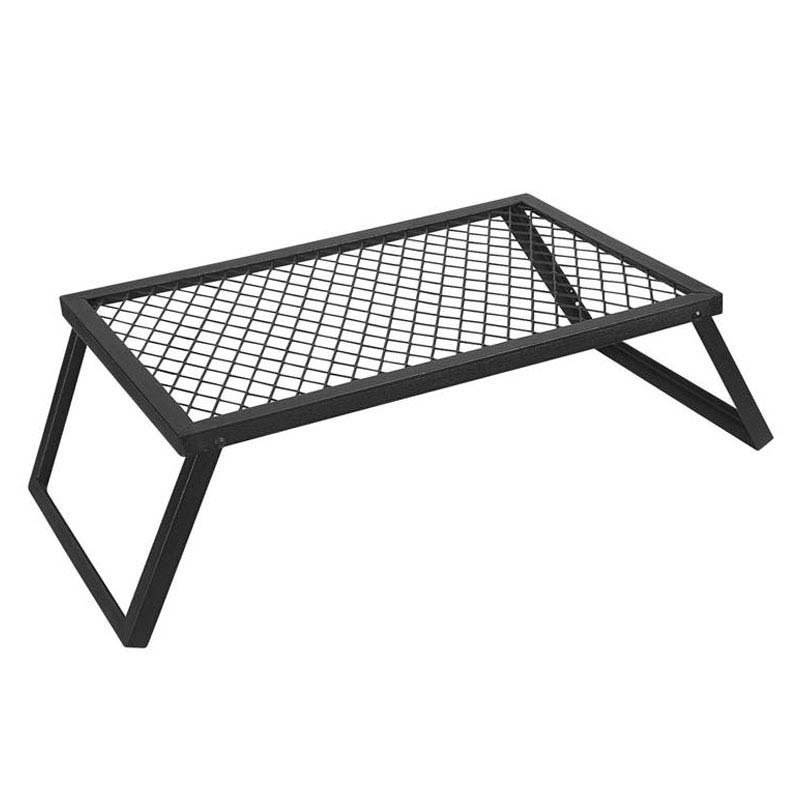 The heavy gauge metal frame and iron mesh grill surface is supported by sturdy legs that fold underneath when not in use. - Supported by sturdy legs that fold underneath when not in use. Steel frame with iron mesh.